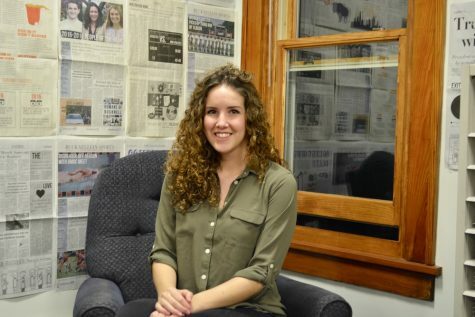 Creative Writing ’19, New Brighton, Pa.
Madison joined The Bucknellian during her first semester and has been working to improve her grammar ever since, all in preparation to join the Editorial Board as assistant news editor. She is very excited to spend her Wednesday nights in Stuck House this semester. Outside of The Bucknellian, Madison can be found dancing, doodling, eating chocolate, overusing commas, and exercising her complete inability to tell an interesting story face-to-face.